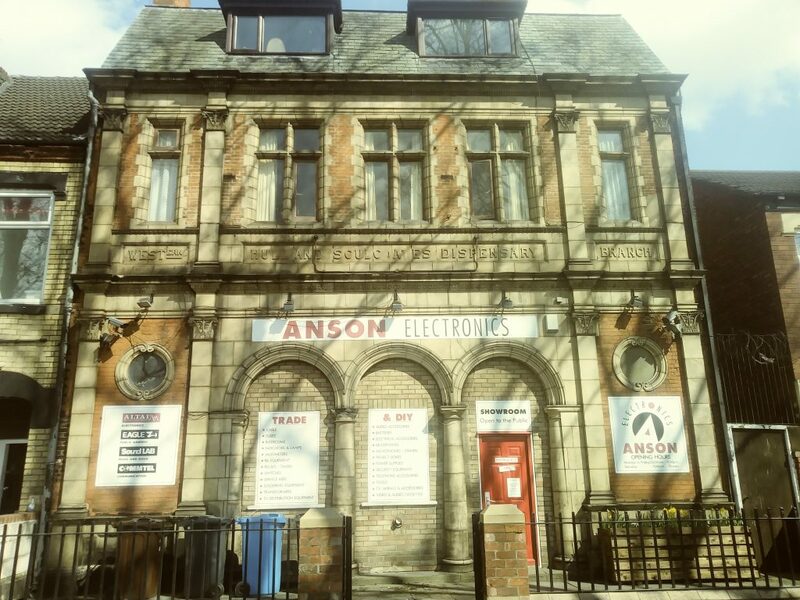 Anson Electronics will this year celebrate 40 years of trading from their shop on The Boulevard. 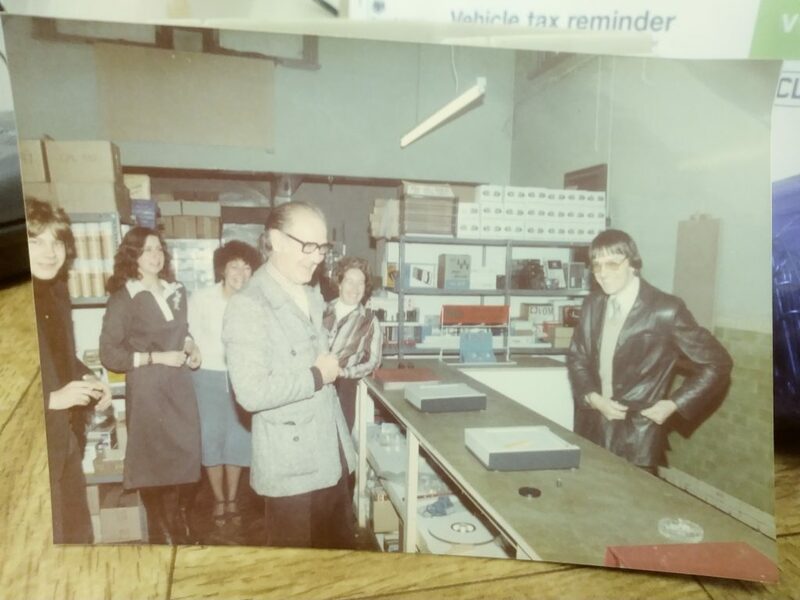 Anson Electronics is celebrating 40 years in their premises on Boulevard, West Hull this year, and owner Debbie Anson wants the local community to help them, with ideas on how to mark this milestone. This ‘Aladdin’s Cave’ started life in an old air raid shelter, before moving some years later into the former People’s Dispensary at 167-183 Boulevard. The electronics retailer has continued to trade through tough times for the sector, times which have seen bigger electronics firms crash, with Maplin the latest big name victim in the area. Miss Anson explained why this small family business has proved such a success, as well as a link with a world famous recording studio, which has recorded some of the biggest names in music. So why does it work, in a 120-year-old building on Boulevard? “I think it works here, because we’ve been here a long time, it’s mainly by word-of-mouth. The local community is obviously a very big deal for the business: “Yeah it’s very important, we’re only a small, family business, and we also support local community events that happen. So how much has the business changed in the four decades they have been serving this community? “It’s changed massively, we were trade only, we would supply all the shops, and businesses. “In those days people repaired things, it didn’t just go to landfill, nowadays I’m sure they design things only to last three or four years, then throw it away. “Years ago you’d get your TV repaired, or people rented TV’s because they couldn’t afford to buy one, so things lasted a lot longer. The first ever customer to walk into the shop on Boulevard was Keith Herd of the famous Fairview Studio, which has recorded work by the likes of Mick Ronson and the Spiders From Mars, Def Leppard, The Housemartins and The Beautiful South, as well as Basil Kirchin. Laurie Anson serving Keith Herd of Fairview Studio on their first day in the premises on Boulevard. “Our first ever customer here was Keith Herd of Fairview Studio, he recorded some of the biggest names in music, but is such a nice man. Despite people not realising they are there, the business does still receive a lot of trade thanks to the word-of-mouth in the area. How will they celebrate such a milestone for the business? “Has anybody got any ideas? Be the first to comment on "Electronics retailer to celebrate 40 years on Boulevard"